As revealed in a Yahoo Sports investigation - the five worst words for a college athletic director to hear? 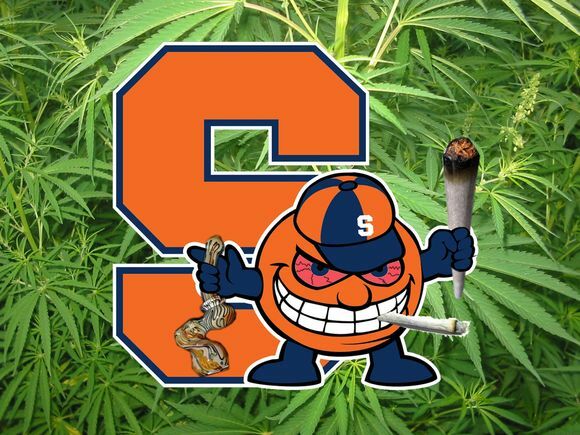 Hi, this is Charles Robinson -- 10 Syracuse basketball players since 2001 have tested positive for a banned recreational substance or substances (read: almost certainly weed), with the school violating its own drug policy by failing to count positive tests and suspend players accordingly. To which I say: bravo. I'm glad Syracuse ignored its drug policy. I'm glad players weren't suspended. I wish the school had taken things further and thrown all of its basketball players' urine samples in a dumpster, or maybe just let Ryan Braun's lawyer take care of them. An ethical lapse? A dreaded -- warning: Orwellian NCAA jibber-jabber incoming -- lack of institutional control? A clear-cut case of rules are rules? Sometimes, rules are stupid. Sometimes, they deserve to be broken. This is one of those times. 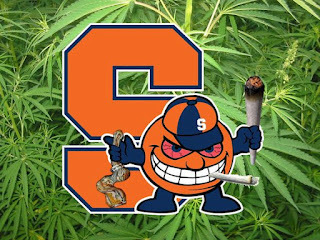 Largely ignored in the Syracuse story are some basic questions: why the heck is a university invasively testing its students for recreational drug use in the first place? Why is it singling out athletes? What's the rationale for the time, expense and general police-state creepiness involved? What possible good is this serving? Look, I can kind of understand testing for PEDs, at least from an athletic competitive edge standpoint. (Even though I'm firmly opposed to the Sports War on Drugs, which is a full-fledged feature article for another time). But testing college kids -- note: not air traffic controllers or nuclear submarine missile technicians, but college kids who happen to be good at dribbling basketballs -- for recreational drugs? Like I said, this is stupid. This is a waste. Syracuse had the bad sense to institute a testing program in the first place; I'm glad they had the good sense to blow it off. Newsflash: college kids drink. Smoke. Do drugs. Sometimes that entails breaking the law, and when it does, real police get involved. Because that's their job. University athletic departments should stay out, the same way Jim Boeheim doesn't tell the Syracuse PD how to set up speed traps. Bill Walton and Kareem Abdul-Jabbar were great college basketball players who grew up to be accomplished, thoughtful men. I'm fairly sure John Wooden never asked them to pee in a cup -- and I'm pretty sure that if the saintly Wizard of Westwood had been forced to do so, he also would have let the results slide.